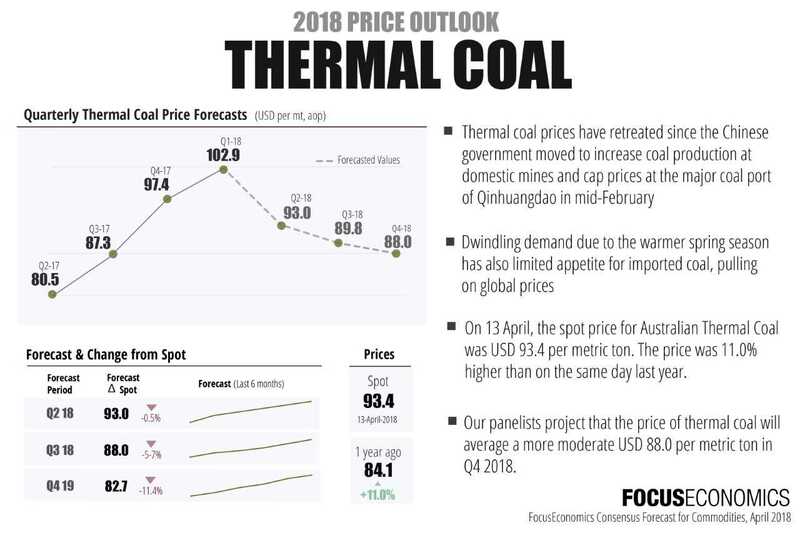 FocusEconomics’ April 2018 Consensus Forecast for Commodities shows a moderate downward trajectory for thermal coal in Q4 2018. Newcastle export prices are expected to drop to $88.00 a tonne because of new measures taken by the Chinese government to up production at domestic coal mines, suppressing the surge in import prices. 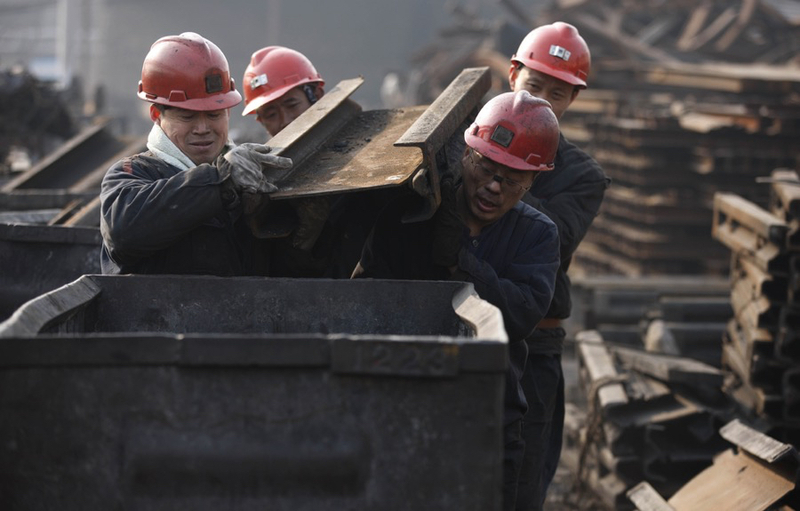 Thermal coal prices peaked in January, reaching a one-year high of $109.00 a tonne on January 29 when Northern China was struck by a cold spell causing coal shortages in the Chinese power industry. Since a price ceiling was imposed at China’s main coal import harbour Qinhuangdao in mid-February, seaborne prices for coal have started to decline. Along with the price cap, FocusEconomics brings to light that railway operators were instructed to increase transportation of coal from Chinese mines for energy use in the winter instead of clearing their imported inventory. Global prices were also affected by the warmer spring season eliminating strong demand. Australian thermal coal was last traded at $93.40, 11% higher than the price exactly one year ago which was at $84.10 a tonne. However, it was lower by 8.1% on a year-to-date basis. FocusEconomics provides economic forecasts for energy, base metals, precious metals, and agricultural commodities. Its monthly Consensus Forecast is compiled by polling leading economists from banks and consultancies, and results are then analyzed by FocusEconomics’ own team of economic experts.